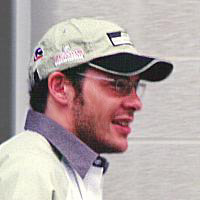 Former Formula 1 champion Jacques Villeneuve might be making a shocking comeback to the sport. The Canadian former world champion and Indianapolis 500 winner left Formula 1 in 2006 to try his hand at NASCAR and Le Mans racing, but The Sun newspaper is reporting that Villeneuve is a leading candidate for a potential opening at Stefan GP in 2010. However, it remains to be seen if Stefan GP will even be eligible to race in 2010, much less if they will be adding Villeneuve to their roster. The American team purchased the rights to Toyota’s 2010 car after the Japanese manufacturer pulled out of the sport last year. However, Stefan GP is behind the curve in terms of team development and is hoping that Formula 1 will grant them a waiver allowing them to join the circuit after the first four races of the season. However, while Stefan GP boss Zoran Stefanovic has said that the team is close to closing a deal with Villeneuve, the team still clearly has significant hurdles to overcome. On Monday the team announced they were forced to cancel a planned test run in Portugal because they lack a tire deal.